WITH YOUR SUPPORT WE WILL BE THE GREATEST NATION ONCE AGAIN!! --- BE INVOLVED, MAKE A DIFFERENCE !!!!! FANNIN COUNTY REPUBLICAN PARTY AND REPUBLICAN WOMEN WILL BE HOSTING WATCH PARTY. Refreshments: If you like Bring FINGER FOODS to share. Join Nationally recognized speaker Nick Adams founder of F.L.A.G “Foundation for Liberty and American Greatness” this coming Monday evening, July 2nd and the FCRW,PAC. Nick is known by many as an “Australian by birth and American by Choice”. 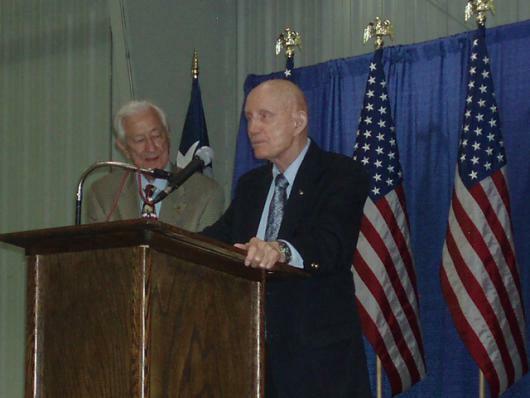 Nick Adams will be speaking on the Greatness of America, the POWER of the American Dream and values enshrined in the U.S. Constitution. Make this evening a great start for you and your family in celebrating OUR GREAT NATION!!! Where: Family Life Center, 200 W. 8th St., Bonham, TX *Meetings are open to Women and Men in Fannin County seeking the opportunities and information offered by the Fannin County Republican Women. 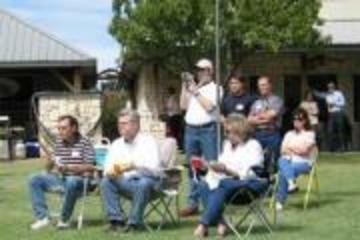 Time for the Fannin Co. Republican Party Convention this Saturday March 24th. Precinct' chose their delegates for the local convention on March 6th. 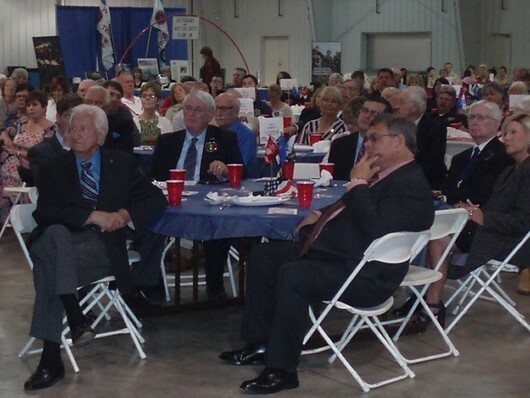 OUR CONVENTION is open to ALL Fannin Co. Republicans. 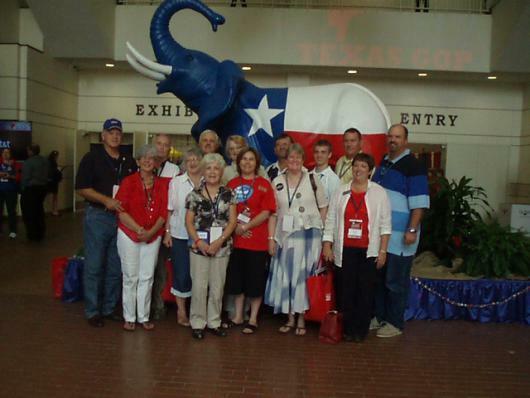 County Conventions are held during the year of the Republican Party of Texas State Convention which will be in San Antonio June 14th - June 16th, 2018. Join the Fannin County Republicans & Republican Women's Club as we wait for the 2018 Primary Election Results. ALL Republican Candidates & voters are invited to attend. The primary will be over so it will be time to come together!!! Location is the Family Life Center in Bonham where we will share sandwiches and finger foods and wonderful desserts while we wait for the election results. We will be posting the Results as they come in from the Various Precincts and by Hotspot for our State Races. Meet & Hear Pct. 2 Republican Commissioner and Justice of the Peace Candidates. Location: First Baptist Church 230 2nd Street, Trenton in the Fellowship Hall. CHECK UNDER THE INFO TAB FOR COMPLETE LIST OF 2018 PRIMARY VOTING PRECINCT LOCATIONS INCLUDING EARLY VOTING LOCATION AND TIMES!!!!! Other times will be added and other arrangements can be made. 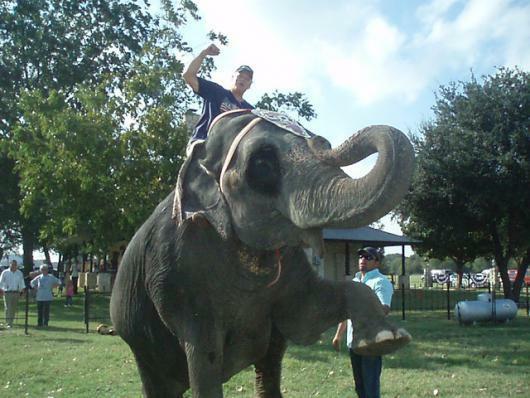 feel free to call me at 214-908-1324 or email me at Melanie.fcgop@gmail.com . 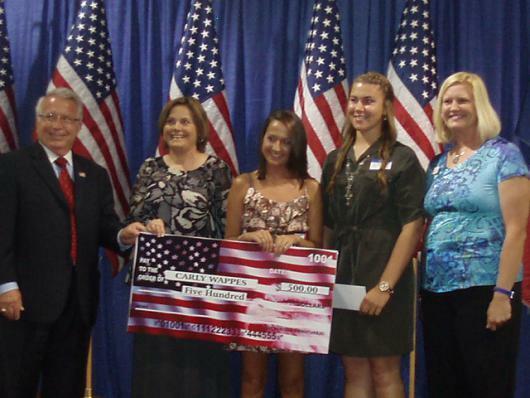 The fee can be paid with Cashier Check, Money Order, Personal or Campaign Check or Cash and made out to Fannin County Republican Party - Primary. Note: Checks must clear the bank in 5 days to be considered accepted by the County Chair according to SOS. I will give you a packet the Republican Party has prepared for each candidate which includes pages that need to be returned to me as soon as possible. Here is a link to obtain an online Application and fee schedule from the Secretary of State at https://www.sos.state.tx.us/elections.forms/pol-sub/2-2f.pdf. If you have any questions please text, call or email me. If you have any questions please text , call or email me. 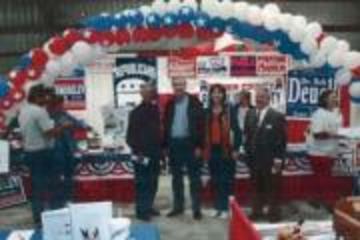 REPUBLICAN PARTY BOOTH IS THE PLACE TO BE!!!. 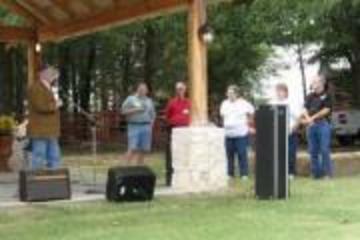 Turn out has been GREAT at the Fannin County Fair this week. The AG Barn has been full, the food courts running over. Come join your FCGOP for fresh cookies, MEET THE CANDIDATES, Come Say Thanks to our Elected Office Holders. Saturday is the last day so come by today or tomorrow. 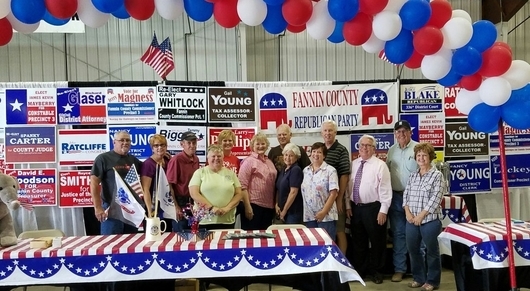 THE FANNIN COUNTY REPUBLICAN WOMEN, PAC. 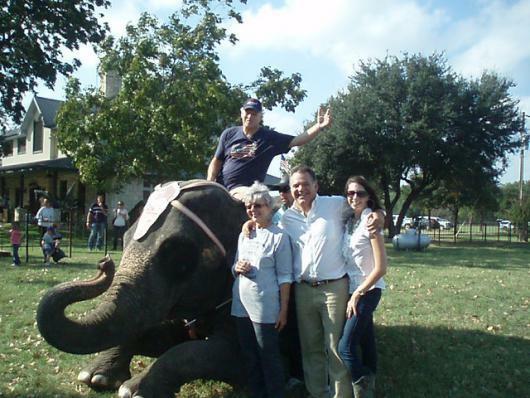 MEETING Tonight Monday, October 2nd LOCATION CHANGE Bailey Inglish School Cafetorium 201 E. 10th Street, Bonham TX,. Meal will begin at 5:30 pm The meeting will begin at 6:00. PROGRAM: Rep. Larry Phillips - 2017 Legislative Activities. And Election of officers for the 2018 year. PROGRAM: Come hear Local Republican Candidates intent on running in LOCAL 2018 REPUBLICAN PRIMARY. Each Candidate Present will have 3 minutes to tell you who they are and why they are running for office. REPRESENTATIVE LARRY PHILLIPS - Future Re-districting, and his plans as he ends his last Legislative Session. JOIN US TOMORROW - SATURDAY MAY 20th TO CELEBRATE OUR VETERANS & COMMUNITY. 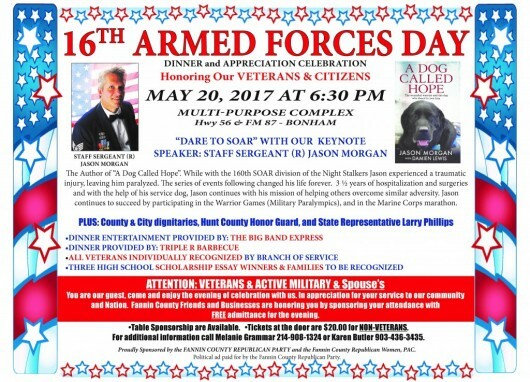 Share the evening as we honor our Veterans and Military!!! 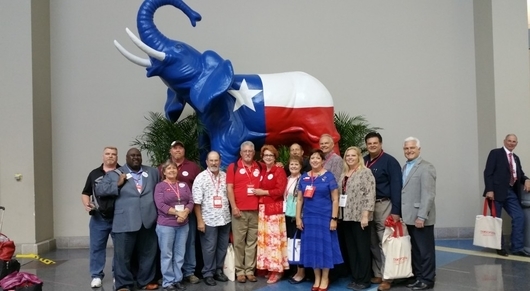 JOIN THE PARTY Monday evening, April 3rd as we welcome TEXAS REPUBLICAN PARTY CHAIRMAN TOM MECHLER at a Joint Meeting with the Fannin County Republican Women. Dinner will be provided by our County Office holders as they share their favorite Chili for you to experience! 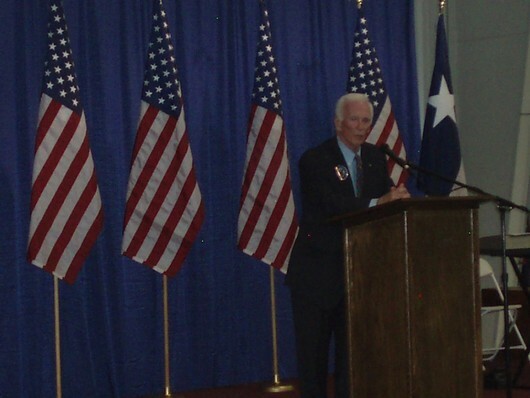 The Chairman will speak on the future of the Texas Republican Party, Growing the Party to look like Texas, Promoting Conservative Principles and Empowering the Grass Roots. The FCGOP would like to express a special thank you to Joyce Buchanan of Buchanan Insurance in Leonard for providing the drinks for the evening. UNOFFICIAL TALLY OF VOTING PCT'S AS OF 4:30 PM TUESDAY NOV 8th . Not all precincts have given a preliminary count. Fannin County Daily Early Voting Update from County Clerk office. Last day of Early Voting - Long Range weather forecast for Fannin County predicts Thunderstorms possible on Tuesday - Election Day. 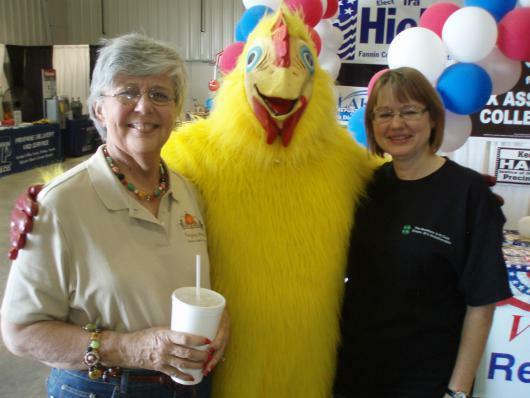 COME TO THE FANNIN COUNTY FAIR!!! Stop in and say hello to our National, State and Local office holders and candidates!! This is your opportunity to welcome and speak to your Candidates and Office Holders! Booth is open Wed. 5-9pm, Thursday/Friday 1pm - 9pm and Saturday 10am - 9pm. Trump / Pence Yard signs are here, $5.00 is the Suggested donation! Currently orders are being take for the 2 foot high x 4 foot long fence sign, also suggested donation of $10.00. Bumper stickers are also available!!! PLEASE CONTACT ME BY EMAIL Melanie.fcgop@gmail to arrange for pick up. EARLY VOTING BEGINS OCTOBER 24TH - Nov 4th. , includes Saturday, Oct 29th in Courthouse. GENERAL ELECTION: ALL PRECINCTS NOVEMBER 8TH. 2016 STATE RUN-OFF MAY 24TH - Don't stop now - your vote is needed in these inportant races. Your vote will influence decisions made for Fannin County by these Elected offices. Railroad Commissioner, Court of Criminal Appeals Place 2 Judge, Court of Criminal Appeals Place 5 Judge, and State Board of Education Member District 9. BALLOT AND CONSOLIDATION OF POLL'S LOCATIONS IN ANNOUNCEMENT SECTION to right !!!!!! Watch this site as well as your local publications for event times and places. MARCH 1ST - TUESDAY - PRIMARY ELECTION AND PRECINCT CONVENTIONS. after POLLS CLOSE at 7PM in your Precinct voting location. 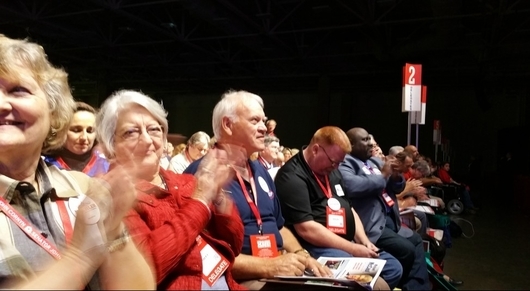 PRECINCTS WILL VOTE ON THEIR DELEGATES/ALTERNATES FOR THE COUNTY CONVENTION - see announcement section for details. 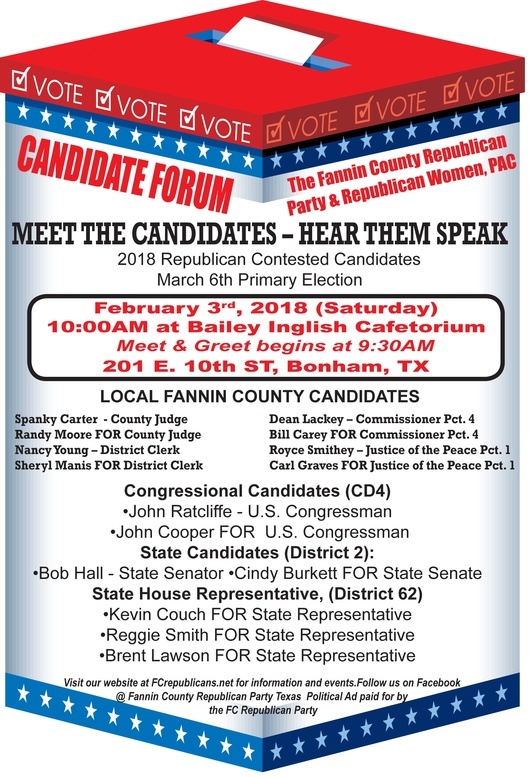 February 20th - 10:00 AM Candidate Forum at Bailey Inglish Cafetorium 201 E. 10th St. Bonham. ATTENTION: Candidates and office holders: 13 candidates and officeholders filed their Application for Office and filing fee. COUNTY NOW HAS 100% REPUBLICANS IN THE COUNTY COURTHOUSE. 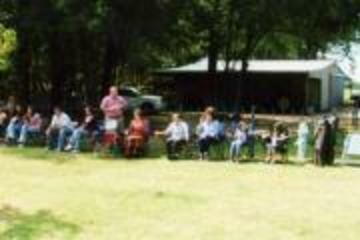 YOU KEPT FANNIN COUNTY RED AND SO DID THE MAJORITY IN TEXAS AND THROUGHOUT THE COUNTRY. 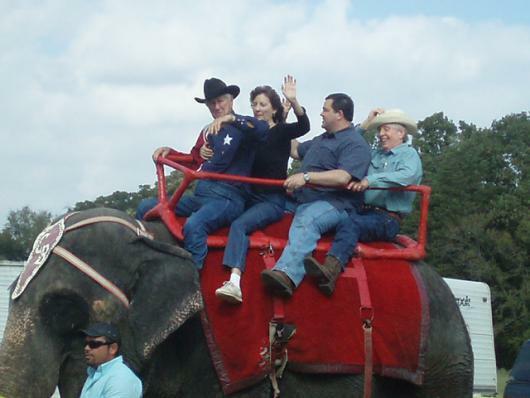 On March 4th, 85% of folks in Fannin County voted for Republicans. Early voting was active with a total of 1,027 voters. Total Republicans voters numbered 2,597 or 85% to 427 or 15%. 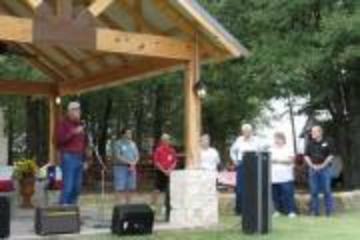 2012 FannIn County voters responded with a record number of Republican candidates winning over 75% of the popular vote. The Primary election and runoff is over. The election clerk recorded 2,974 Republican voters and 378 other voters in the Primary. 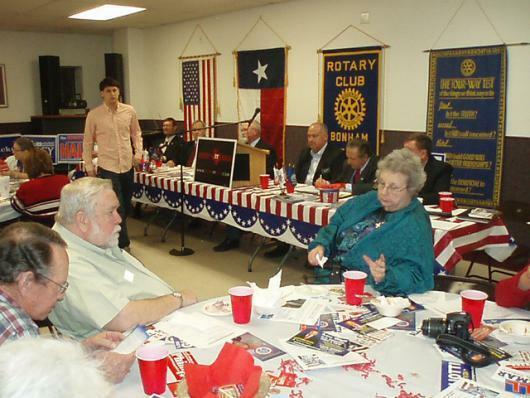 The 2008 AND 2010 Primary Elections resulted in a record turnout for Fannin County Republicans and in the General election Republicans gained the support of 62% of the straight party voters and 80% of the 2010 primary voters. WOW! what a change in local politics. We are grateful and thankful for your confidence in our candidates and your local Republican Party.